Good food leads to good mood. We're here to fill your life with exotic taste which you may not find easily anywhere else. Cook the kind of food that everyone remembers. Brimming with flavour and life, fresh and healthy. It can only be found in Ebaza. 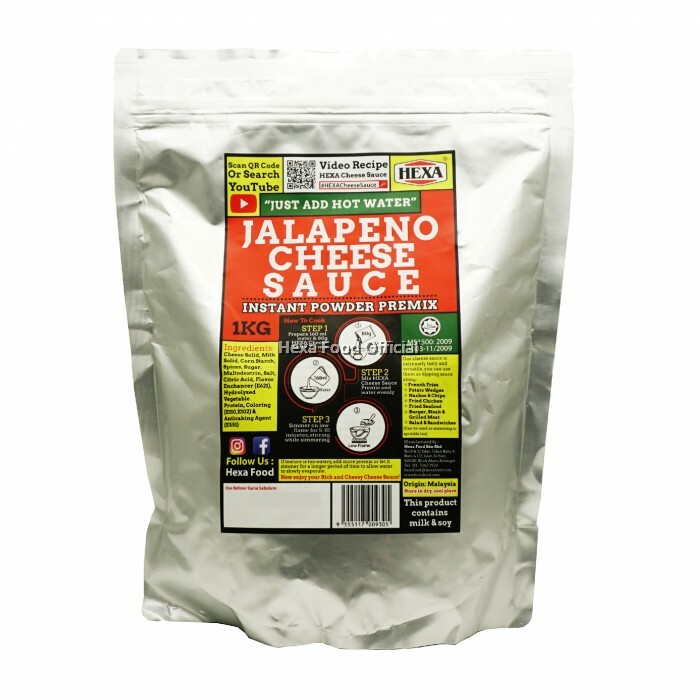 HEXA Cheese Sauce Premix is a tasty western sauce which is easy to prepare. 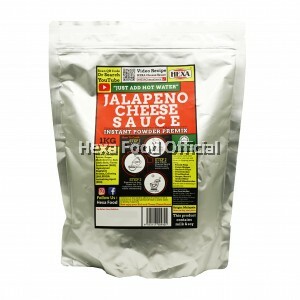 HEXA Cheese Sauce Premix is great to be served as a pour over on Nachos, Lasagne, pasta, meats and vegetables. For Better aroma and richer taste add milk or cream instead of water. HEXA Cheese Sauce Premix can be used as a seasoning for popcorn, boiled egg, French fries or salad. While Ebaza endeavors to ensure the correctness of its product images and information, sometimes minor changes about the packaging and/or ingredients may be pending update on Ebaza.com.my. Though items may seldom happen to ship with alternate packaging, freshness of the products is always guaranteed. We recommend that you check Hexa Food’s YouTube channel “https://www.youtube.com/user/HexaFood” or Instagram page “https://www.instagram.com/hexafood/?hl=en” for easy and convenient video recipes. Wanna know more about our company? You can visit us at: www.hexafood.com or here's a short story: Our company was established in 1997. From a humble setup of manual machineries, today fully automated grinding and packaging machineries are used to meet our growing business demands.